I originally ordered this herb because it is a natural source of boron, an element I just found out that my body is lacking. Boron is important because it helps with proper absorption of calcium, magnesium and phosphorus from the foods that we eat. As I looked more into the benefits of nettle, I found out that this little herb has so many other benefits for those of us with endometriosis and related conditions. Turns out nettle has been used as a healing compound for over 2,000 years. While I am a little late to the party, I realize now why this is so. Nettle contains biologically active compounds that reduce inflammation. These compounds interfere with your body’s production of inflammatory prostaglandins, which play a key role in endometriosis pain. There are chemicals in nettle’s leaves that interfere with the way that our nerves send pain signals. This results in less feelings of pain and makes this herb a good choice for pain relief. A combined analysis of stinging nettle’s traditional uses and demonstrated activities in clinical trials suggests that the root is a good pelvic decongestant, justifying its use in any condition that is affected by such a state, including passive menorrhagia, fibroids, and dysmenorrhea. Nettle is also beneficial in treating endometriosis due to its rich content of iron and its vitamin C content aids in iron absorption. Nettle is said to stimulate your immune system. It has a gentle, stimulating effect on your lymphatic system, and enhances the excretion of wastes through your kidneys. Because of this, nettle is a great natural remedy for kidney stones, bladder pain & infections. Nettle also has a positive impact on digestive health and can help with gastrointestinal distress, Irritable Bowel Syndrome (IBS), diarrhea and constipation. It also helps relieve nausea. Of great interest to me at the moment is nettle’s abilities to support the health of my endocrine system with healing properties directed at my adrenal glands, thyroid, spleen and pancreas. Nettle has a high potassium to sodium ratio. A factor that is positive for adrenal restoration. Since nettle helps stimulate lymphatic flow, this gently release toxins from your system; Toxins that your delicate endocrine system is very sensitive to. You can buy nettle as dried leaves, in a tincture or extract. I ordered it as a dried herb and drank it up as a tea. I dropped 2 teaspoons of nettle leaf in about 10 ounces of almost boiling water and let it steep for ten minutes. If you don’t have an infusion cup you can simply drop the herb into a saucepan of near boiling water cover and let it sit for ten minutes before pouring the water through a small strainer into your mug. If you have a nettle tincture you could just drop it into warm water. 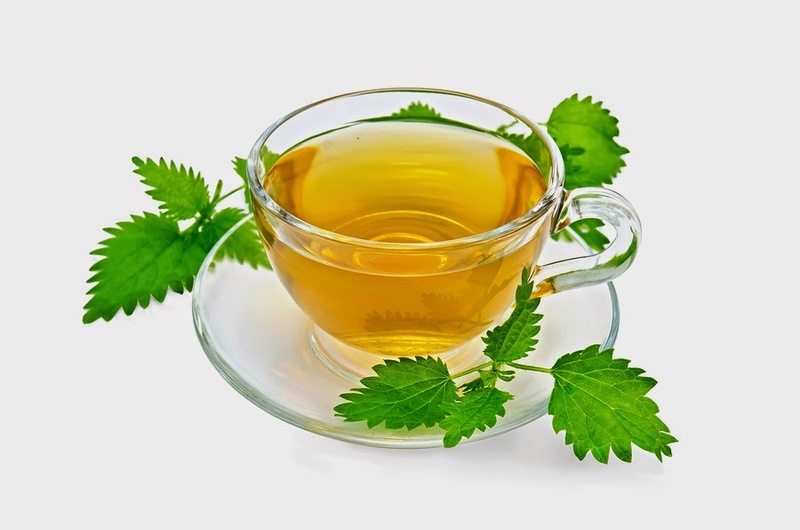 To note: nettle is generally considered safe, but it might cause mild stomach upset in some people and it could interact with certain medications. Check with your medical care provider if you have any questions. Do not consume nettle tea if you are pregnant. I have developed a habit that I know I need to cut down on: coffee. Since picking it up again about a year ago, this has become a daily thing. My hair test results showed that I could have issues with my adrenals, and I know that drinking coffee is not helping this cause. I really enjoyed the flavor of the Nettle tea. Kind of reminded me of green tea. Apparently nettle grows pretty abundantly in the United States and Canada and is often times just considered a weed to get rid of. Have you tried Nettle? Noticed any benefits from it? I’d love to hear from you…. They’re a bit pricey but are very nice. I’m going to put my order in for one shortly. Many mugs, especially ones from China, have lead in the paint/glaze on mugs. Another reason to try and stay close to home. Hope it helps. Much Love.